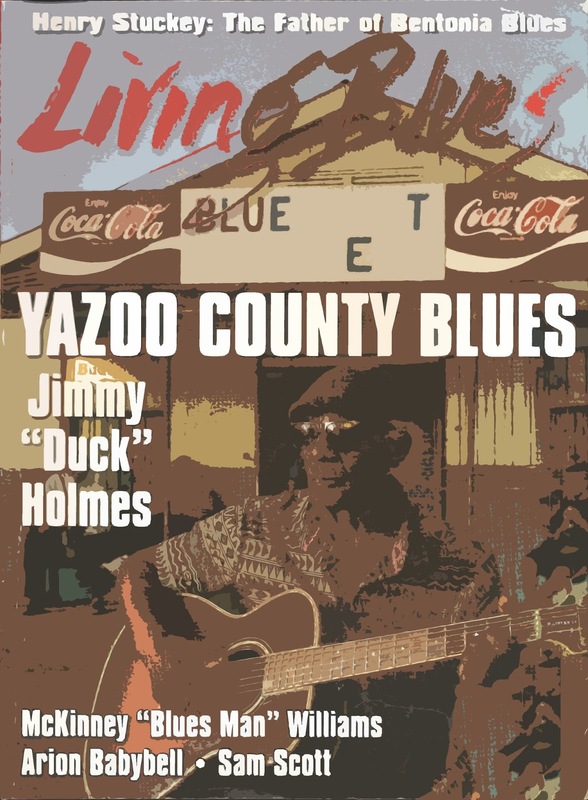 I was pleased to see the the feature articles on “Yazoo County Blues” in the latest Living Blues (#249, Vol. 48, no. 3, June 2017), particularly the very detailed history and overview of the county’s blues activity by Jim O’Neal and the lengthy profile of Jimmie Holmes by Scott Barretta, as well as the reports of other performers who are active today. I was surprised though that no one from Living Blues asked me for input, as, to the best of my knowledge, I made the first documentary recordings of blues in the county back in 1966. In the spring of that year Skip James stayed for a few days with me and Al Wilson when he was in Los Angeles for some concerts at the Ash Grove. We took the opportunity to interview him, and I asked him about other blues artists who might be still active in his home town of Bentonia. I was planning a field trip to Mississippi that summer and was interested to find out to what extent Skip was a unique and individual musical “genius” or whether his blues were part of a local or regional tradition. I heard many elements in Skip’s lyrics and melodies and even occasionally in his guitar playing that were shared with other blues musicians, and I wanted to compare his music to that of other local players. I knew that Gayle Dean Wardlow had contacted Henry Stuckey the year before. Stuckey was an artist that Skip often mentioned as an influence and musical partner, and of course I wanted to meet and record him. Skip also suggested that I look up Cornelius Bright and Bert Slater. Armed with these leads, I headed for Mississippi with Marina Bokelman in August. We met Wardlow in Jackson and drove with him up to Bentonia and nearby Satartia on September 2, only to find out that Stuckey had passed away earlier in the year. I had no luck catching up with Slater in 1966 or in later visits to Bentonia, although he was around. In any case, I heard that he had joined the church and given up blues. We had better luck finding Cornelius Bright, and on September 6 Marina and I recorded him in Bentonia at a session that turned into a somewhat raucous house party. Toward the end of the session a blind man wandered in and sat in on a couple of songs with harmonica. I asked someone his name and was told Robert Sims, but I believe that was the name of the person I asked or of someone else in the room and that the harmonica player was actually Benjamin “Bud” Spires. He sounds very much like Bud, whom I would meet and record later, and at the end of the session he gave me an account of how he had come to be blinded that was very similar to the story Bud would later tell me. Contrary to what Jim O’Neal reported as told to him by Jimmie Holmes, Bud told me he went blind gradually as a result of the unsafe handling of chemical fertilizer on his job. Cornelius was very helpful and seemed to take an interest in my research, as he invited us to come back the next evening and record an older friend of his who was still very active in music. I came back alone on September 7, and Cornelius took me out in the country to meet and record Jack Owens. Jack was a major discovery, an artist comparable to and contemporary with Skip James, performing in a similar style though more “country” and less polished. His music confirmed that Skip was both a “genius” and deeply embedded in a local tradition. I returned to Bentonia in 1967 and recorded Jack Owens again, and this time two more guitarists showed up and played a few pieces, Robert Rouster and Roosevelt Grays. They were typical of the sort of local player who can perform one or two pieces with a moderate degree of competence but who is not too serious about music and is more interested in drinking and acting rowdy. Jack later told me that both men came to bad ends. Meanwhile in Chicago, on May 12, 1966, Pete Welding recorded an artist from Yazoo County named John Williams, who performed a version of “Rather Be the Devil.” Rouster, Grays, and Williams can be added to the list of artists from Yazoo County in Jim O’Neal’s survey. In 1969 and 1970 I returned to Bentonia and recorded Jack Owens with Bud Spires. I continued to visit and record Jack from time to time, sometimes alone and sometimes with Bud, especially after I relocated to Memphis in 1978, but I didn’t record any new artists in the area until July 22, 1984, when I recorded five songs at the Blue Front Cafe from Jimmie Holmes and his brother John Holmes on electric guitars with Bud Spires on harmonica. I thought these were the first recordings of Jimmie, whom I had met a few years earlier through Jack, but I later found out that Jimmie had been recorded for Wolf Records in 1981. By the late 1970s other researchers and fans had begun to visit Bentonia after hearing some of the recordings I had made earlier and issued on LPs. After this I continued to document Jack’s music up until his death in 1997 and accompanied him on his two European festival appearances and his trip to Washington to accept a National Heritage Award. My activities with Jack are described in two series of my “Ramblin’” column in Blues Revue Quarterly 12-13 and 24-26. As Scott Barretta correctly noted, “it was primarily through Owens that [Jimmie] Holmes learned the traditional repertoire of the Bentonia style,” although Holmes had also heard Cornelius, Henry Stuckey, and other local performers. Holmes very likely was impressed with the attention that Jack was beginning to get in the late 1970s and early 1980s from his recordings and an increasing stream of visitors and researchers, including Alan Lomax, who arrived in 1978 with a video crew and fully equipped sound truck. Many of these visitors would stop at the Blue Front and ask for directions to Jack’s house out in the country. Jack would occasionally stop at the Blue Front himself on his trips into town, but he rarely performed at the cafe except when visitors took him there to use it as a recording space. It’s doubtful that he ever performed a real “gig” at the the Blue Front, as he ran juke houses of his own in the 1960s and 1970s and continued to sell moonshine from his home into the 1990s, occasionally entertaining crowds of customers there. Any gig for the locals at the Blue Front would have paid little, and Jack could do much better staying home and waiting for the arrival of a busload of Japanese blues tourists. He also had a disabled wife at home, to whom he was very devoted, and wouldn’t have stayed out late playing music in town. I remember Holmes sometimes coming out to Jack’s house and observing the master musician. Jack was somewhat disdainful of the younger man's playing, but that’s no reflection on Jimmie's abilities. Jack was that way with every other musician, no doubt including myself, although at the same time he was always encouraging to those who tried to learn from him. He simply believed that no one would ever master his intricate style of playing. Skip James was the same way, though never so encouraging to his followers. And they were right! Just as Lightnin’ Hopkins played a simpler but electric version of Blind Lemon Jefferson and Honeyboy Edwards played a simpler electric version of Robert Johnson, so Jimmie Holmes was playing a simpler (and probably electric) version of Jack Owens. These simpler versions were more suited for the times in which the younger bluesmen operated. 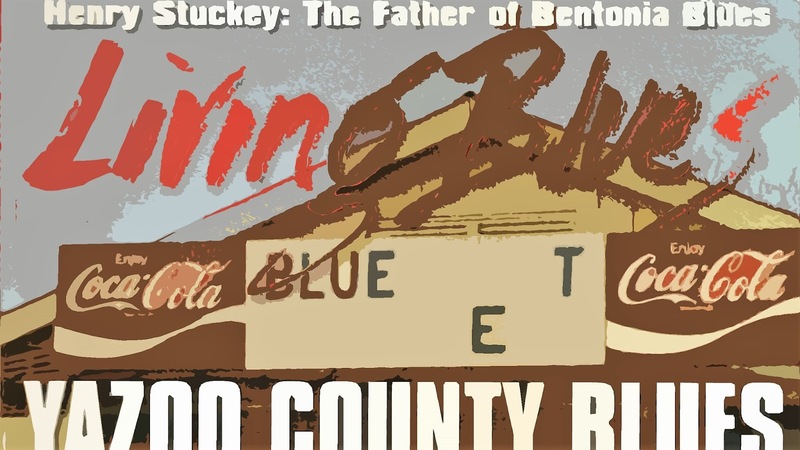 While I enjoyed LB's Yazoo County coverage overall, I was a bit disappointed at the occasional touch of blues mythology, perhaps mixed with a bit of boosterism. The most serious example was the designation of Henry Stuckey as the “Father of Bentonia Blues” in Gayle Dean Wardlow’s article on him and on the cover of the magazine. It seems to be a characteristic of western cultures that we want to identify “father” and “mother’ figures and “birthplaces” of every cultural trait. Thus we have W. C. Handy and “Ma” Rainey as father and mother of the blues and Buddy Bolden of jazz, and every town from Tutwiler to Timbuktu is touted as the birthplace of the blues. Some years ago, when I reported the name of Henry Sloan as an early influence on Charley Patton and noted that the trail of influences ended with him (i. e., we don’t know and probably will never know who influenced Sloan), other writers began elevating Sloan to the status of “founder” or “father” of the style that Patton displayed on his recordings. It’s very convenient, of course, when the alleged "father" never made any recordings, as in the cases of Sloan, Bolden, and Stuckey. Henry Stuckey clearly was an important figure in the local music scene, as Skip James himself acknowledged, but Jim O’Neal’s survey shows clearly that there were others. Wardlow suggests that Stuckey learned the open D (or E) minor guitar tuning, which is the most distinctive feature of the Bentonia blues style, while serving in the military in France at the end of World War I. Stuckey attributed it to some soldiers he encountered there from the Caribbean. I believe this is a red herring. 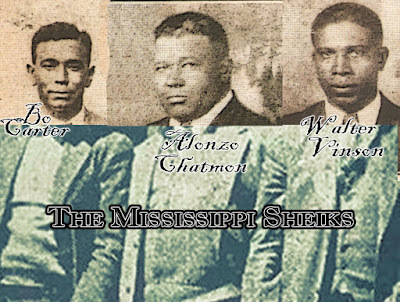 Blues was thriving at the professional and rural folk levels in the South by 1918, and the minor tuning is known elsewhere in Mississippi blues tradition. Its prominence in Bentonia is almost certainly a local development out of something that was already in the area. There surely were soldiers from the West Indies in both the British and French armies in World War One, even some among the American forces, but I am aware of no West Indian style of guitar music that sounds remotely like blues guitar or uses this tuning. All other African and African-American guitar styles of the early twentieth century use the western scale and harmonies that are more or less built into the instrument’s fretboard and lack the note-bending and responsorial qualities of blues guitar or the use of repeated riffs, the return to the tonic at the ends of lines, and other qualities that make blues guitar so distinctive. Wardlow offers direct quotes from Henry Stuckey that seem to confirm the Caribbean origin of this tuning. Now it is to Wardlow’s credit that he found and interviewed Stuckey and conducted the first blues research in Yazoo County, but the fact is that Wardlow did not have a tape recorder with him at this time and evidently didn’t take written notes. When I asked him in 1966 how he kept his information, he told me it was all stored in his head. I’m not certain whether Wardlow reported anything immediately in print, but the first major article about Stuckey was by "Jacques Roche" (a pseudonym for Stephen Calt) in 78 Quarterly #2 in 1968, fully three years after Wardlow’s last interview with Stuckey. Some of his information came from Wardlow, including more direct quotes from Stuckey, but most of it actually came from Skip James talking about Stuckey. However, Calt makes no mention of the Caribbean connection. If there is any Caribbean connection, we ideally need Stuckey’s exact words about his encounter in France, as well as the questions that were asked, not reconstructed quotes given from memory years later. Let’s give Henry Stuckey a place of respect in the Bentonia tradition, but I don’t think he should be called a “father” or founder. The other thing that bothered me was Bill Steber’s statement in his otherwise excellent photo essay that Son Thomas’s “human heads and animal sculptures were modern versions of African fetish figures and talismans, suffused with spiritual power that called forth the animistic religions of the ancients.” Many of Thomas’s human heads from sun-dried clay with painted features or added objects (human teeth, marbles for eyes, pipes stuck in the mouths, cotton glued on as hair, etc.) were crude but more or less realistic sculptures, often with Caucasian features, similar to and probably modeled after busts like those of George Washington and other historical figures to be seen in public buildings such as courthouses and schools, or of figures like Beethoven sitting on the tops of pianos in affluent homes and schools. His animal and bird sculptures were similarly crude but realistic and probably modeled after knick-knacks to be found in stores and homes. I have several of his busts and bird figures like these in my own collection. Other heads had more Negroid features, and some had the back of the head hollowed out to serve as ashtrays or containers. Some were not faces but skulls, but, after all, his occupation was that of a grave digger. These latter items tended to be favored by collectors and exhibit curators for their supposedly “African” qualities, and Thomas was encouraged (and sometimes well paid) to concentrate on this side of his repertoire. Without denying African influences on his sculptural (and musical) style, we should be very cautious about attributing an African meaning to these artistic products, especially as Thomas himself never expressed anything of this sort. Once again, congratulations to Living Blues and the authors for this special edition on Yazoo County blues. "It has been my experience, the further we get in time and space from the actual events the more of the true essence of what happened in our experience gets lost to those who see it all in hindsight. They never walked the land with the those we knew, saw these people as they spoke of their lives, performed their art, were themselves, shared their views on life as it unfolded before us. The longer you spent with each person, the more insights were revealed. Those insights are not often available later on unless completely documented. When I heard some of the artist Dr Evans recorded from the region it immediately became clear that Skip James was the product of a local environment, that he did not incubate this unique style in a some sort of vacuum. Having been part of a few different local music scenes over the past 7 decades the factors that shape those scenes and produce local artists differ but one that remains true is that one or more artists may emerge as stars from any scene and go on to greater notoriety.They are not necessarily the best but those best able to cut ties and move on. Those who remain may not grow beyond a certain point and either remain known only in their community. This can have a stifling effect on them combined with other influences and events that prohibited them or caused them to make conscious decisions to not pursue further careers. This kind of thing can only be annotated and not known, Thank you Dr. Evans for sharing from your extensive experience and enlightening us on this important history."